How are Christians viewed in the broader culture? We blush at the possibilities. Brainwashed fanatics? Out-of-touch dogmatists? Buffoons? The task of bearing faithful witness to Jesus is complicated by persistent—and not altogether baseless—cultural stereotypes. In our post-Christian society, thoughtful Christians are considering again how to engage the dominant culture as a minority, a counterpublic, amid varying perceptions and misperceptions. In this timely book, Timothy Muehlhoff and Rick Langer ask what our interactions with the dominant cultural ethos should look like. How might we be persuasive and civil at the same time? How should we respond to those who ridicule and caricature us? How can we challenge the beliefs of other communities with love and respect? Muehlhoff and Langer present a model for cultural engagement that integrates communication theory, theology, and Scripture. Penetrating, wise, and relentlessly practical, it includes test cases and examples from history, such as William Wilberforce and Harriet Beecher Stowe. Now more than ever, Christians need what Winsome Persuasion offers: a compelling vision of public engagement that is both shrewd and gracious. 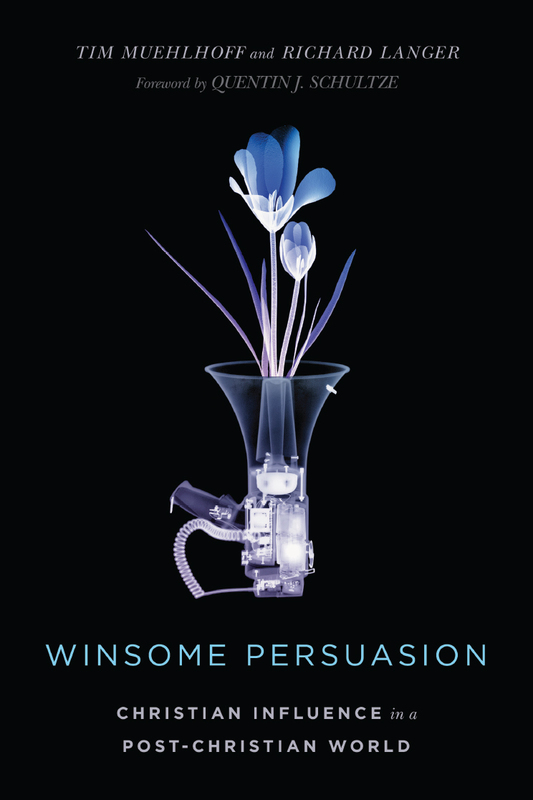 "In a world marked more by incivility and talking past each other than respectful engagement, Winsome Persuasion is a refreshing consideration of how to pursue genuine engagement with those with whom we may have deep ideological and theological differences. 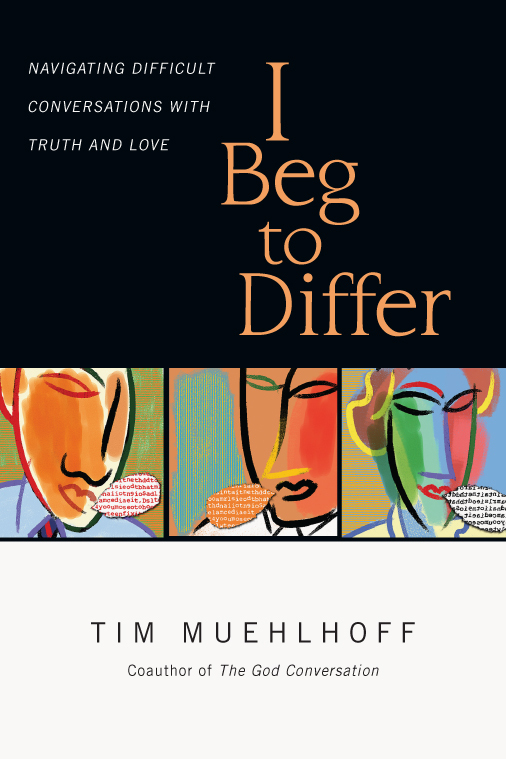 Tim Muehlhoff and Richard Langer speak not just from a theoretical perspective but from the lived experience of engaging those with opposing views as bearing the imago Dei—the image of God—and therefore being worthy to be seen as our neighbors, to be treated with dignity and respect. This is a great resource for all of us seeking to be the presence of Christ in the world." "After more than twenty-five years of working with college students in campus ministry, I would argue that students living in a 'post-discourse' society need all the help they can get with learning to engage others in meaningful discussion—and not just students, but everyone who desires connections with other humans that go beneath the surface. Read this book as a prayer for change in your own life and in the lives of our communities." "Looking for a manual on winning arguments and scoring points in the current cultural debates? Keep looking! Winsome Persuasion is not the culture warrior's guide to winning. If, however, you hope to learn how to listen well and be heard, how to speak truth irenically, with more light than heat, keep reading. Deeply rooted in contemporary communication theory and ancient biblical wisdom, this excellent work is a wise and effective guide to speaking truth in love. 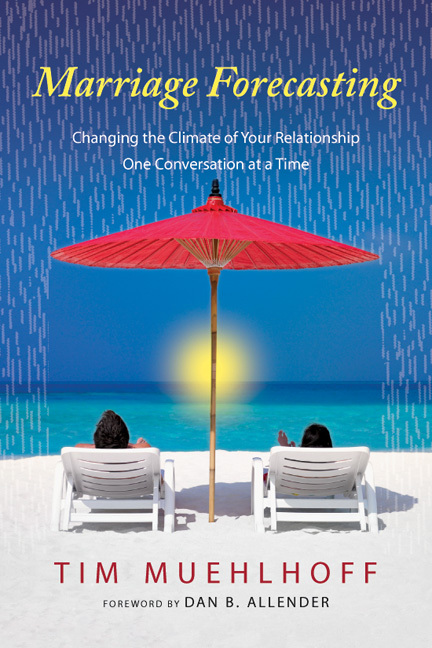 For anyone who hopes to be truly persuasive in our polarized context, Muehlhoff and Langer serve as faithful guides to the work that's required to gain a hearing, to speak effectively, and to create the best possible relational environment for our words to have an impact." "Muehlhoff and Langer have produced a book well worth the time of any Christian who wants to be real salt and light in a difficult, pluralistic world. To be sure, not only is Winsome Persuasion grounded wonderfully in the Scriptures and current communication theory, but the writing is crisp, the examples and illustrations are entrancing, and the usefulness is immediate and profound. This is the perfect book for church leaders and thoughtful laypersons to read and study together." "This is an amazing book! Muehlhoff and Langer merge the best of rhetorical theory, biblical witness, and the stories of caring members in Christian counterpublics who have transformed their communities. It's not a book for those who argue, accuse, or insist that 'my way is Yahweh.' Instead, the authors model what they advocate: winsome persuasion." "Winsome Persuasion could not be a more timely book! In our increasingly hostile and fractured world, followers of Jesus are needed who embrace their role as peacemakers and ministers of reconciliation. But how? Muehlhoff and Langer are incredibly helpful in that regard. This book shows us what cultural engagement can look like; wise, honest, compassionate, and helpful discourse is more important now than ever. Weaving together strands of multiple disciplines, Winsome Persuasion is a rare book that more than delivers on its title. Highly, highly recommended." "The American public square is now more cantankerous and less civil than perhaps any time in the modern era. How should a Christian live and speak hope without merely adding more noise? Muehlhoff and Langer's book Winsome Persuasion casts a positive vision for a way forward and indeed models it. This is a book whose time has come." 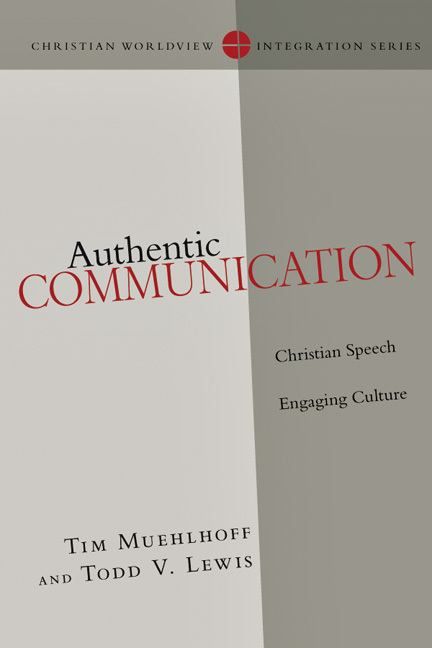 "In this age of shrill and often hateful public rhetoric, Muehlhoff and Langer's Winsome Persuasion is a breath of fresh air; wise, warm-hearted, and well researched, its advice for speaking Christianly in the public square could not be more timely." "Following the presidential election of 2016, it was declared that we are now living in a 'post-truth' world. With the dominance of social media where echo chambers are nearly unavoidable and the rise of 'fake news'—which once would have been cast aside as nothing more than a gossip rag—is being used as evidence to support belief claims, what do people who claim absolute truth do to maintain active participation in the culture while maintaining a level of personal integrity that does not feed into the worst of stereotypes? In Winsome Persuasion, Tim Muehlhoff and Rick Langer present both the challenge and a plan for how Christians can regain credibility and speak persuasively into a world that they no longer recognize as their own. This is not a book that just lays out a problem and provides lament to the believer. Rather, it's a strategy for action. Christians do not have to be victims of an increasingly secular society, nor do we have to become the angry, hate-filled rhetors we have been portrayed to be. How we talk about the issues of our day matters. If we as Christians want to be more than political and social pawns, engaging in winsome persuasion may be the best way to present the truth of the gospel of Jesus Christ while creating space to be heard and taken seriously." "Winsome Persuasion paints an intricately detailed picture of an American public square growing more and more fragmented and frustrated as her citizens entrench themselves along ideological lines. Far from leaving us in despair, though, Muehlhoff and Langer offer incisive exhortations to Christian communities to strive to heal our national divides through Christlike compassion and countercultural communication." "How does a book live up to the title Winsome Persuasion? You're looking at it! Muehlhoff and Langer's new book models the very thing they wish to teach. Demonstrating a refreshingly relevant knowledge of culture, it's both informative and inspirational. For anyone who loves Jesus and wants the tools to effectively share him with a post-Christian world this is a must-read!" "Winsome Persuasion is a timely and masterful book. Tim and Rick provide insightful and practical steps for Christians to communicate more effectively in our 'argument culture.' They use a delightful combination of statistics, personal examples, stories, and interactive dialogue to engage readers along the way. I hope and pray this book will receive the wide readership it deserves." "I write this as I approach my sixty-ninth birthday. I've seen a lot—the sexual revolution, the Jesus movement, the civil rights struggle. However, if you had told me twenty years ago that American culture, values, and life would look like it does today, I would not have believed it. The social, moral, religious, and political fabric has been rent asunder. This raises the question: How can we Christians best serve Jesus today and honor him in the way we communicate our ideas to the broader public? On the one hand, we do not want to compromise biblical teaching. On the other hand, we want to be wise and Christlike in the way we approach people. But how? In my view, Muehlhoff and Langer have written the best book by far to guide us in these tricky waters. You don't have to agree with everything they say (that's part of the content of the book!) to recognize that this is a must-read. I know of no other book remotely like it. Please get a copy and discuss its ideas with your friends. Failure to do so will jeopardize our mission in the decades to come." "The majority of our culture sees engaging in difficult or controversial discussions of our core beliefs as fraught with peril rather than opportunities by which we can refine our understanding of the truth and give due honor to the viewpoints of others. 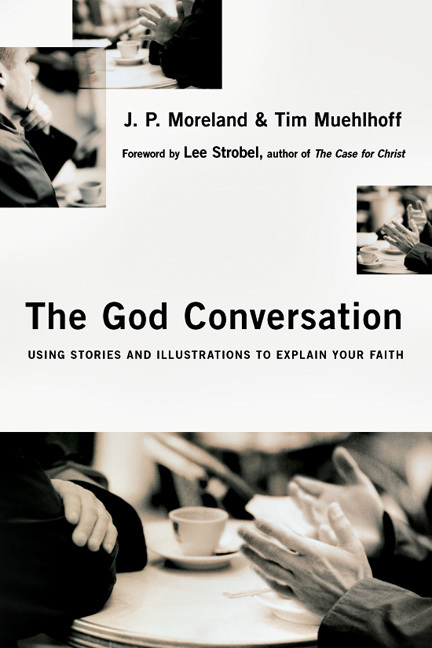 In their excellent book Winsome Persuasion, Langer and Muehlhoff call us back as Christians to the art of conversation and the necessity of humble disagreement. This book both theoretically and practically lays the groundwork needed to equip Christians to engage in this fundamentally important task." "You can't read this book without being challenged and inspired. Challenged to reevaluate taken-for-granted assumptions about the proper role of conflict and persuasion in faithful Christian communication. And inspired to avoid becoming a freewheeling bombast in a culture already bogged down by ideological division, sloganeering, and incivility. Muehlhoff and Langer remind us that Christians must engage in a biblically based, other-oriented thinking that challenges individual and institutional self-righteousness. In practical ways, the authors help readers understand how they can practice an invitational form of rhetoric that both preserves biblical truth and cultivates societal neighborliness, supporting all individuals in times of relational crisis. In final analysis, their work provides us with a means of asking the deeper questions about the human condition and reminds us that all human beings are created in the image of God and are therefore deserving of dignity and respect." "If we're going to engage the public effectively on LGBT issues—or other hotly contested social issues—we need to think through the kinds of issues Winsome Persuasion so deftly examines." "Too many books simply make assumptions about secular modern culture and about the way that we need to respond. Muehlhoff and Langer take the necessary step of analyzing the way that culture works, especially with regard to media and social issues, and their deft analysis generates significant insights. The authors apply orthodox Christian principles to hot-button issues without being shrill or partisan. In so doing, they model what the book strives to teach." 1. What Is a Counterpublic? 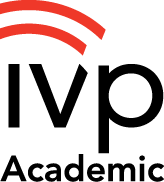 Tim Muehlhoff (PhD, University of North Carolina at Chapel Hill) is a professor of communication at Biola University in La Mirada, California, where he teaches classes in family communication, interpersonal communication, persuasion, and gender. 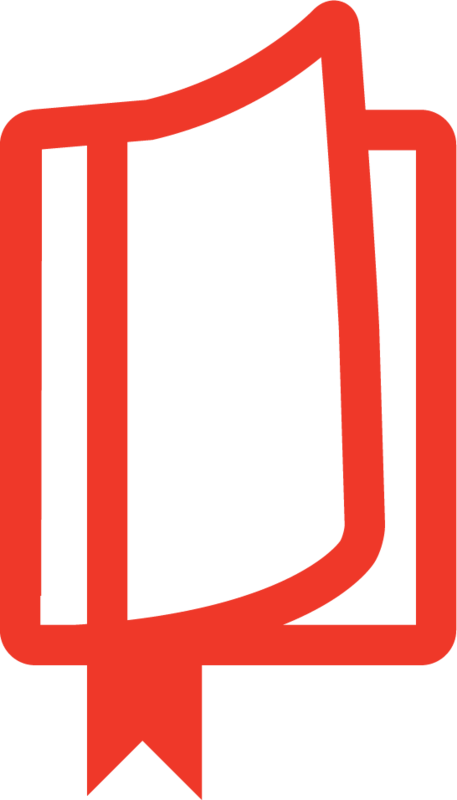 He is the author of I Beg to Differ and Marriage Forecasting, and the coauthor of The God Conversation, Authentic Communication, and Winsome Persuasion, which received a 2018 Christianity Today book award in apologetics/evangelism. 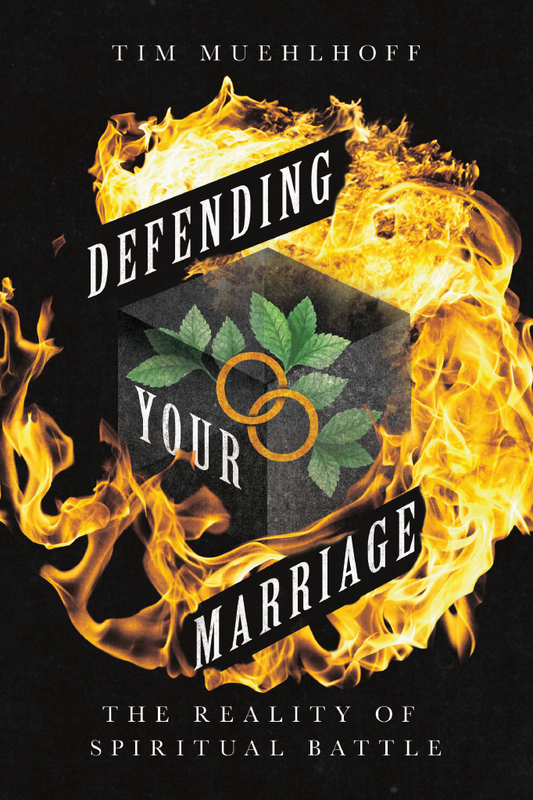 Muehlhoff and his wife, Noreen, are frequent speakers at FamilyLife Marriage Conferences, and Tim also serves as a speaker/author with Biola's Center for Marriage and Relationships. 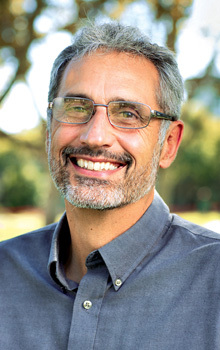 Richard Langer (PhD, University of California, Riverside) is professor of biblical and theological studies at Talbot School of Theology and director of the Office for the Integration of Faith and Learning at Biola University. Specializing in the areas of theological integration, moral philosophy, bioethics, political philosophy, and philosophy of religion, he has also taught at Trinity International University and the University of California. 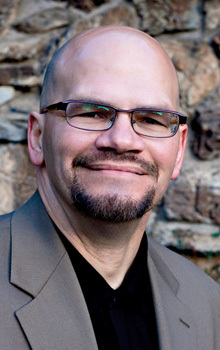 An ordained minister, Langer previously served as senior associate pastor of Trinity Evangelical Free Church in Redlands, California, and as a missionary with Campus Crusade for Christ. He also speaks at seminars and conferences around the country and is a board member for Forest Home Ministries. He has served on the boards for Building a Generation, the Southwest District of the Evangelical Free Church of America, and the Internal Review for Research Protocols at Loma Linda University Medical Center. Additionally, he won Biola University's Provost Award for Excellence in Theological Integration in 2008. 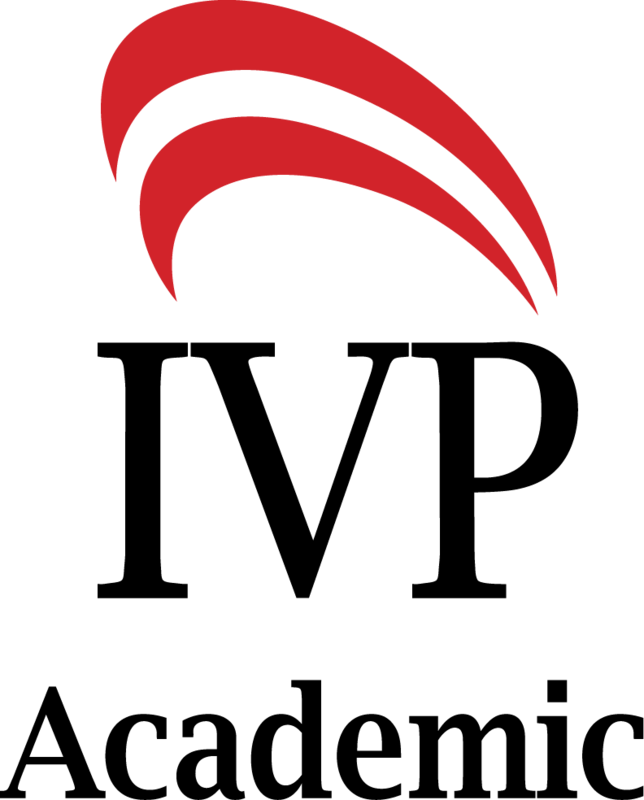 Langer has contributed articles to publications such as the Journal of Spiritual Formation and Soul Care, Christian Higher Education, the Journal of Psychology and Theology, Philosophia Christi, and the Journal of the Christian Institute for Disabilities. He and his wife, Shari, have two grown children.